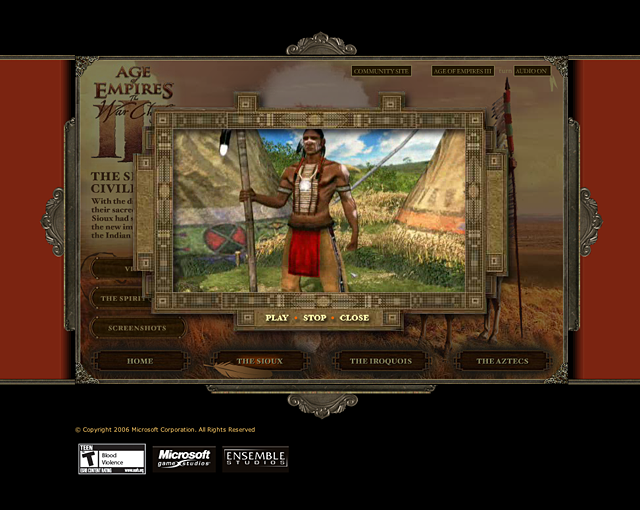 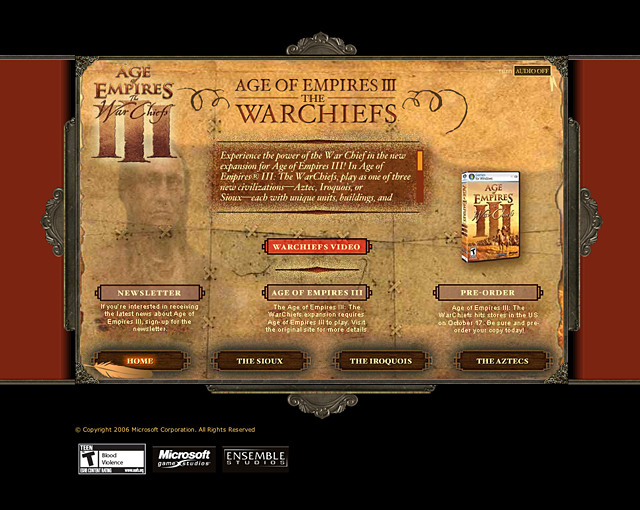 Microsoft Games needed a compelling marketing site for Age of Empires 3: The War Chiefs. 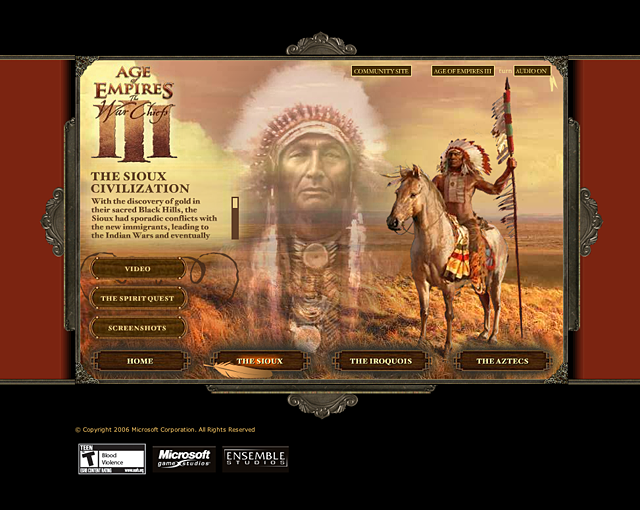 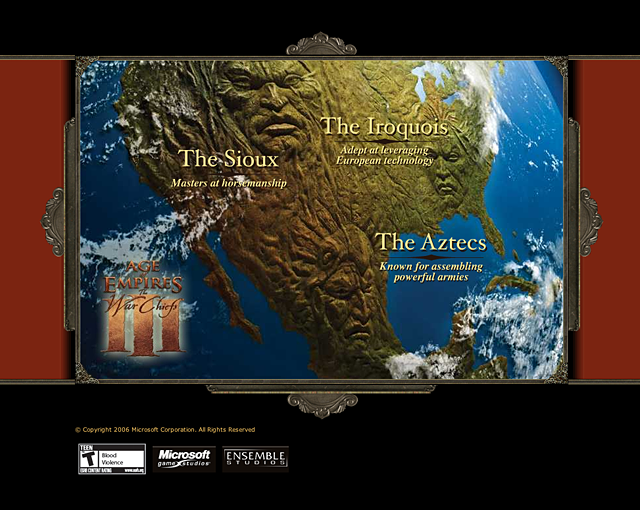 With few game graphics available for use, we created a deep context site that engages the user in learning about three distinct indigenous tribes of North America. 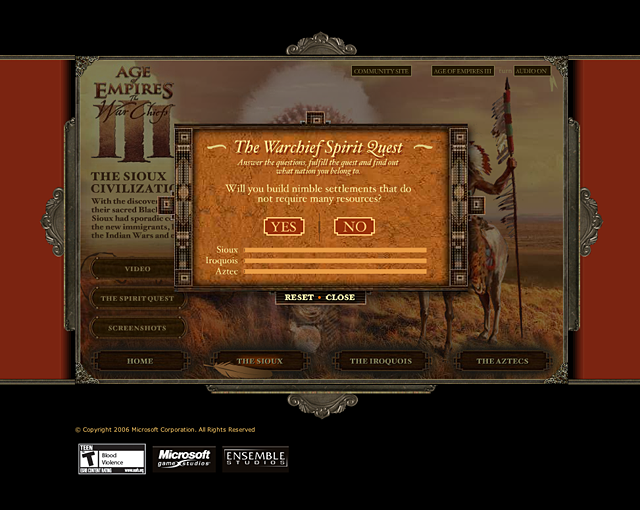 The resulting site is interactive, engaging, and drives demand for the game.